For anyone who may have contemplated suicide, the band Twenty One Pilots wrote the song Guns for Hands for you. Many of the Columbus-based band's songs take on the subject of mental illness, insecurities and suicidal thoughts. 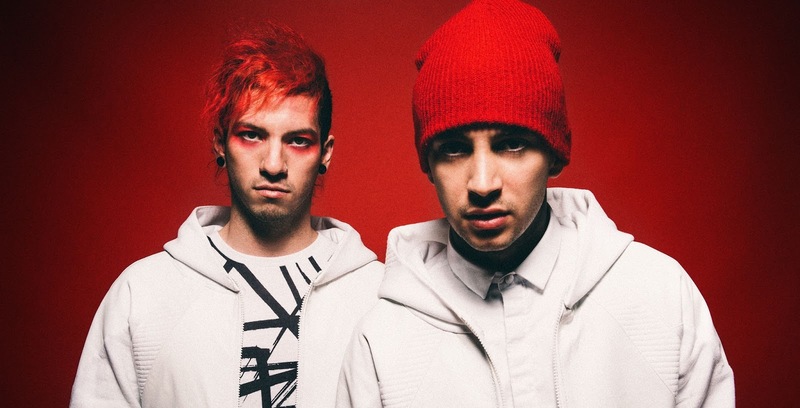 With the song Guns for Hands, lead vocalist Tyler Joseph said he was influenced by fans at a particular concert. "Kids came up to me and felt like they needed to share what it was they were going through and a lot of what they were going through had to do with suicide," the 27-year-old said. Joseph said the fans told him that they used music and songs to overcome their suicidal thoughts. "This song is very inspired by them and those people that struggle with that," he said. "This song is about taking that negative energy and aiming it at something else, not aiming it at yourself, really giving these kids the power to know that they do have control over their circumstances." In the song, Joseph sings that, even though you may have a gun and even though you may have plans to end your life, please do not do it. He sings, "But there's hope out the window, so that's where we'll go, Let's go outside and all join hands, but until then you'll never understand." Drummer Josh Dun said in an interview with Reddit AMA, "I feel a heavy responsibility to continue not only creating or playing music, but also working on my own life, and trying to be a person that's worthy of somebody looking up to."